Bayou Bacon is coated in a blend of Cajun herbs and spices and smoked with hickory hardwood. 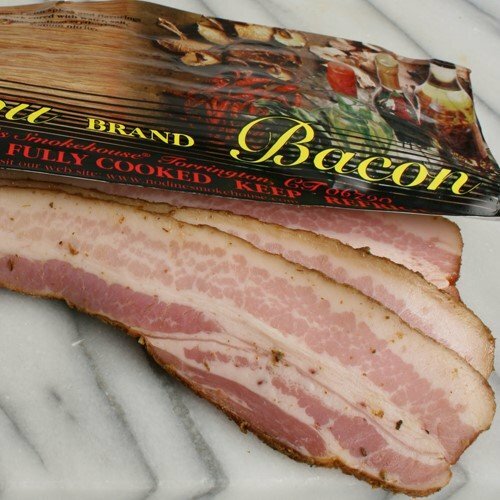 This unique, flavorful bacon, without being too spicy-hot, offers a taste of New Orleans at breakfast, lunch or even at dinner. Try Bayou Bacon wrapped around scallops or shrimp for beautiful hors d'oeuvres, make breakfast worth getting up for, or enhance any recipe with Nodine's gourmet bacon.